Voopoo UFORCE coils are for use in the UFORCE Tank only and come in both the U2 and N1 variations. UFORCE U2 coils have a resistance of 0.4ohm and are rated for use at 40-80W and are best at 55-65W. UFORCE N1 coils are some of Voopoo's mesh coils and have a 0.13ohm resistance. They are rated for use at 50-100W, but have optimal vapor and flavor production at 70-80W. UFORCE coils come in a pack of 5. Voopoo is known for their high powered durable vapes, and now they've taken everything you loved about the Voopoo Drag and made it better in the Voopoo Drag Mini. Smaller and more compact, this mod is perfect for the vaper who wants a serious workhorse of a vape in a lightweight package. The rechargeable battery installed in the Voopoo Drag Mini is the equivalent of two 18650 batteries, and with a max output on 117W, this battery is nothing of scoff at. The Voopoo Drag Mini is outfitted with Voopoo's GENE.FIT chip, protecting against dust, liquid, and burnout, as well as giving you super fast firing. Voopoo's new FIT mode is designed to give you as much life as possible from your mod, protecting your battery life and giving you intelligent matches with Voopoo tanks. Adjust the battery set, the flavor set, and the cloud set in the easy to use FIT interface for a personalized experience. The Voopoo Drag Mini comes with the UFORCE T2 tank which can hold up to 5ml of vape juice and has triple airflow for a richer flavor. The top loading makes refilling your tank easy and clean, and the UFORCE coil gives you effortless and smooth hits. The UFORCE tank comes installed with a P2 coil, but the tank is compatible with any of Voopoo's coils. 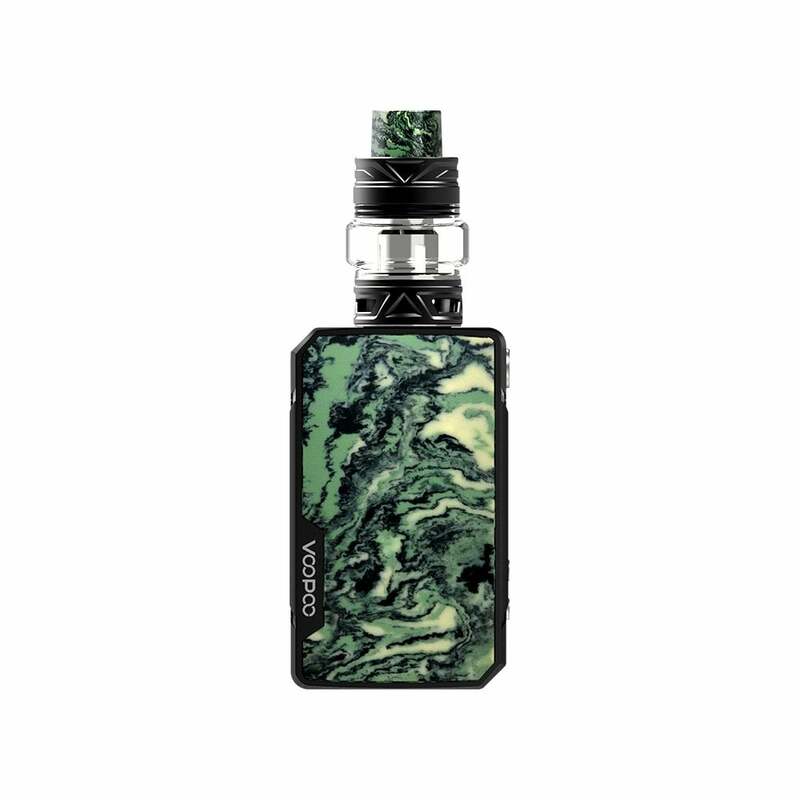 The Voopoo Drag Mini is a high powered mod in a small compact body that can easily fit in your pocket, purse, or palm. This mod is perfect for both serious and casual vapers who want a reliable, portable box mod that's built to last. Very nice pull. Awesome cloud production. The juice tastes so much better from this mod versus my eleaf mod. I just got this in the mail yesterday. Started using it shortly thereafter. I've had plenty of mods, but this one takes the cake. Such an easy pull and AWESOME cloud. Huge tank. It very sturdy well put together. 100% happy with it. I ordered this item Friday night and received it Monday afternoon(w/o the $25 shipping upgrade mind you). My order was protectively packaged. This is my first mod in attempt to quit smoking. The mod itself is easy to use and very aesthetically appealing. I have it set at the very lowest setting(1) and that is plenty for me @ this time!!! I even choked a bit..... and i am using 6mg juice. The only qualm I have is that there seems to be some leakage of juice from the tank. This may be my own fault, however, because I have since made sure the tank is now fully tightened, and i think this should correct the problem. That is the reason for a star deduction, but again it may not be the fault of the device. At any rate, I am very pleased with my purchase and the service of the vendor.